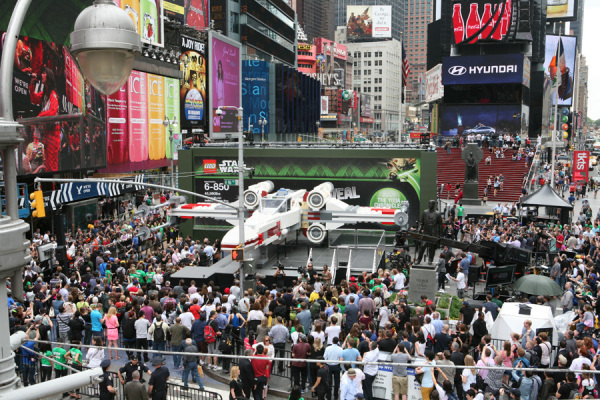 Lego unveiled its largest model ever in Times Square yesterday: a 44-foot, life-size version of the Star Wars X-wing in honor of The Yoda Chronicles, its new show premiering on Cartoon Network on May 29. 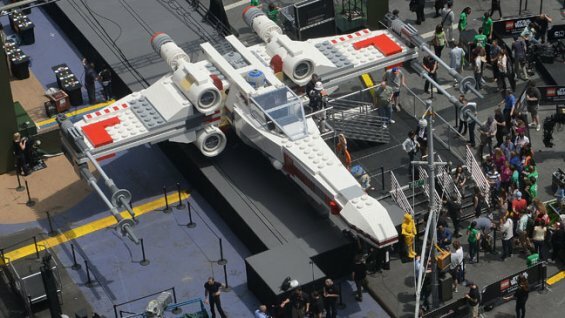 Utilizing over five million Lego bricks, the 46,000-pound X-wing took a whopping 17,000 hours to create and its giant presence foreshadows the huge plans Disney and Lucasfilm have for the franchise over the next several years. The Yoda Chronicles is only the beginning; in the fall a new animated series called Star Wars Rebels will debut, which will lead to a new live-action Star Wars sequel in theaters at some point during the summer of 2015. After that will come some stand-alone Star Wars movies, more video games, toys, costumes and enough neurotic fan paranoia to keep us writing about it all for years to come. It's a fitting tribute from Lego, whose own brand of Star Wars toys and games all but saved the company from bankruptcy in 2003. In our opinion, the Lego Star Wars games and related toys were instrumental in continuing the legacy of the franchise while introducing it to new fans. It's because of the Lego stuff that kids as young as one and two are already hooked on Star Wars, and the choices they've made have been critical in maintaining the longevity of the franchise. 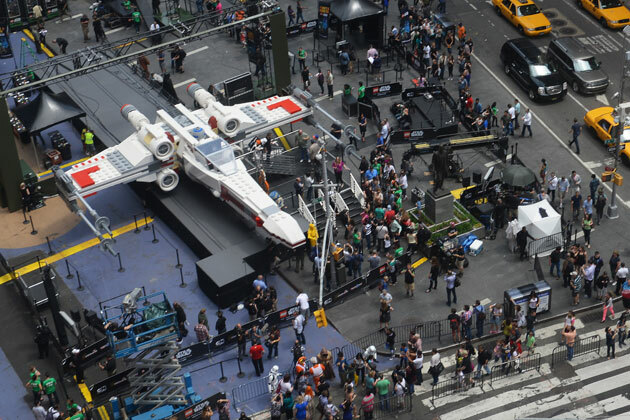 Here's video of the model's unveiling in Times Square.